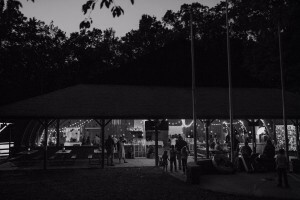 Camp Mack is a wonderful place to host your event or wedding. 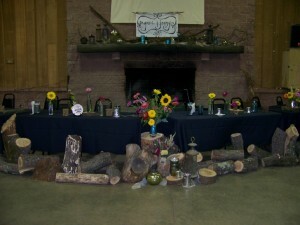 Memories that will last a lifetime will be enhanced by Camp Mack’s woodsy, rustic feel and beautiful outdoor setting. 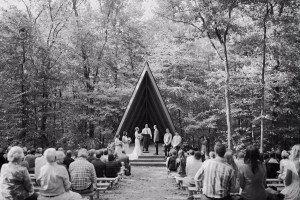 Over the past few years, Camp Mack has become very popular for weddings and has hosted other events such as school field trips, church picnics and retreats, and service and fraternal club get-togethers. Camp Mack is an active Scout Reservation with various activities taking place throughout the year. Due to that, availability is very limited. Generally, space for large events is available weekends in April and May then again from mid-August through September annually depending upon the Scouting event schedule. 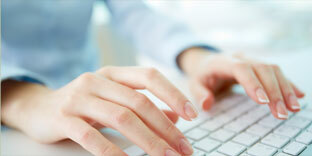 Weekday availability is much more flexible and open. 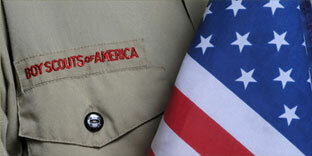 No outside large event reservations are accepted from June through Mid-August and in October due to Scout Programs. For availability, to arrange a tour, or to make a reservation contact the Pennsylvania Dutch Council Service Center at 717-394-4063. Reservations for the upcoming year will begin being taken in June the year before. Access to the Camp Chapel (seating for 150, pictures at the top of the page), Camp Kitchen (see important information below), and Open Air Camp Dining Pavilion (seating for 300) from 5:00 PM the evening before the wedding through noon the day after the wedding, set-up and tear-down included. Additional facilities may be available for an additional cost. Dining Hall sound system available at an additional cost. Campsites and Cabins may be rented for camping weekends by churches and non-profit organizations. The Camp Dining Pavilion and Kitchen may be rented for dinners and picnics. The Camp Mack Training Center may be rented for retreats, meetings, and training. For availability and pricing contact the Pennsylvania Dutch Council Service Center at 717-394-4063. 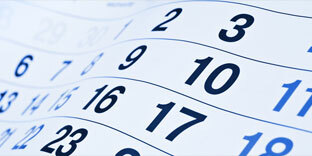 Reservations for the upcoming year will begin being taken in June the year before. Alcohol is not allowed on the Camp Mack property. This is not negotiable. Anyone caught bringing alcohol onto the property will immediately be asked to leave and their event ended. 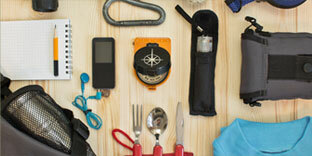 An additional $250 refundable kitchen cleaning deposit is charged with all reservations using the Camp Kitchen. After the event, once the Kitchen has been cleaned and checked by the Camp Ranger, the deposit will be returned. Whoever will be using the kitchen must provide proof of ServSafe Food Safety and Handling Training. Additionally, if a commercial caterer is brought in, they must provide a copy of their retail food service license. Decorating, set-up, and tear-down of the Camp Chapel and Dining Pavilion are the responsibility of those renting the space. Camp Mack is generally open to be decorated however the renter wishes. The large American Flag and “Welcome to Camp Mack” sign in the Dining Pavilion may not be removed, however, they may be covered. Rental of the Camp Chapel and Dining Pavilion/Kitchen do not constitute rental of the entire property. 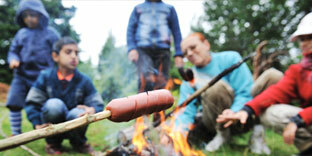 As such, campsites and cabins may be rented to Scouts or other groups for weekend campouts. Camp Mack makes sure to inform such groups of special events taking place in camp and asks that they respect those events.